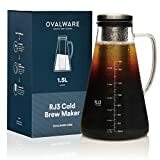 This summer, enjoy an iced coffee that doesn't taste so bitter by making a big batch of tasty cold brewed coffee right in your very own home instead. 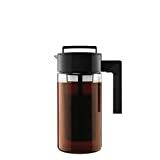 Cold brew coffee is slowly steeped in non-heated water to produce coffee that is smooth, full-flavored, almost sweet instead of bitter, and much lower in acidity. 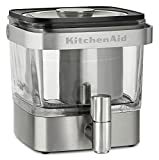 This cool new KitchenAid Cold Brew Coffee Maker not only lets you easily make delicious cold brew coffee, it's also designed to be compact enough to fit in your fridge, keep it chilled, and dispense it from a built-in stainless steel tap on front as well. 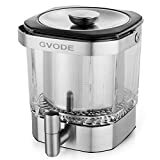 It makes up to 14 servings that will stay fresh in the fridge for up to 2 weeks, has a convenient carrying handle for easy portability, and features a sleek, modern stainless steel design with a glass container. 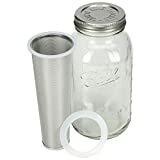 Hmm, does anyone remember iced tea? It's kind of being replaced.